Hi there! 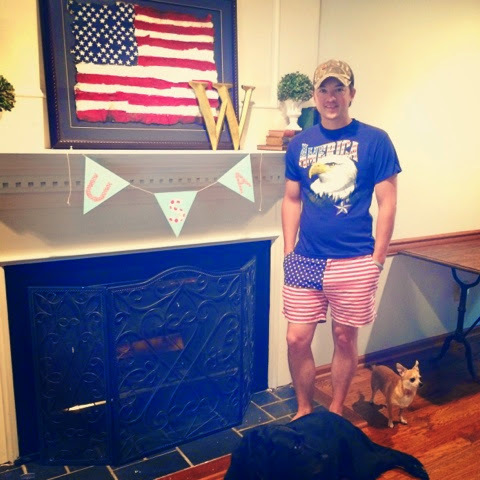 Hope you guys had an awesome Independence Day weekend! We celebrated by having friends over for a good ole' fashioned American cookout and spent lots of time at our neighborhood pool. Project Stoneywood is steadily starting to feel more and more our style. When we first moved in, the breakfast nook (yay!!! We have a breakfast nook) was a bit wonky. 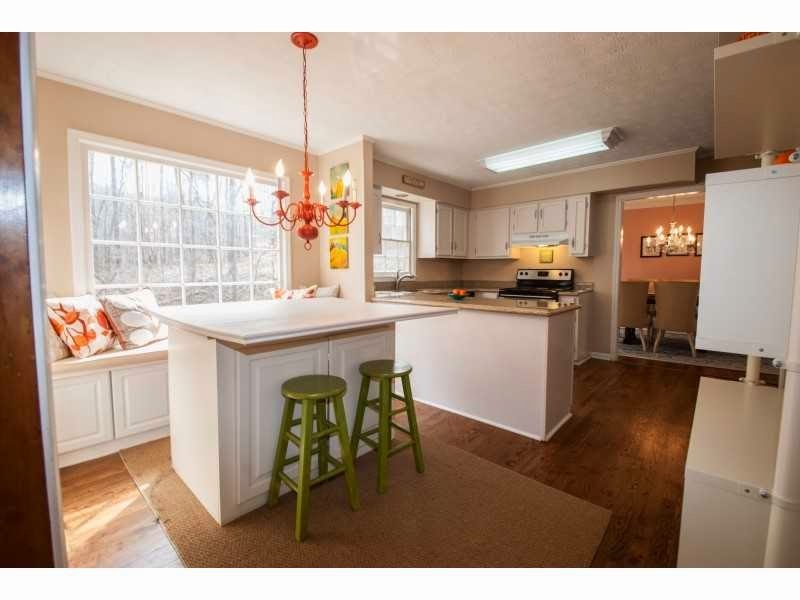 The previous owner decided to put in a VERY large island/dining cabinet thingy. This mammoth thing made the space look really small. It was super hard to go and sit down. Truthfully, it was just plain awkward. 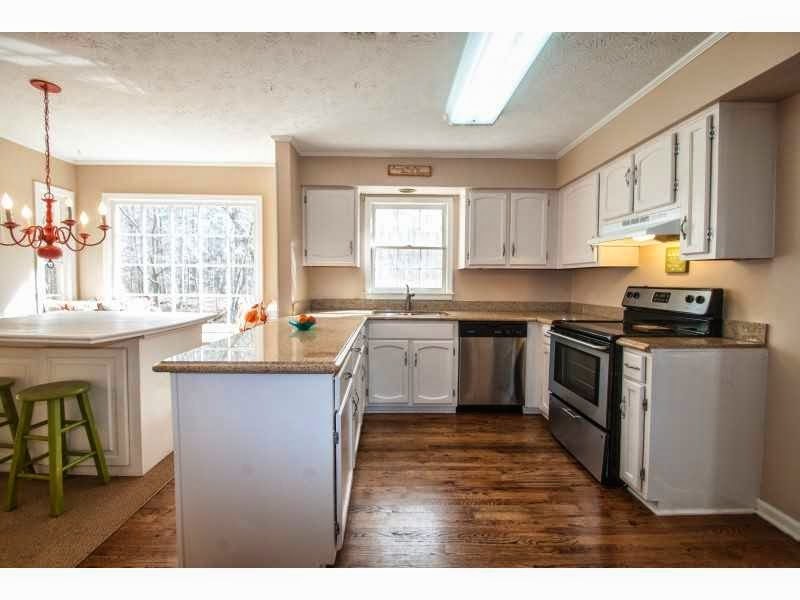 The pics above are from the real estate listing. It doesn't look quite so mammoth (or awkward) here, but trust me - it was an unfortunate situation. What we did love is that awesome window and window seat! It overlooks the backyard jungle. I really enjoy sitting there in the afternoons and in the mornings. It's so peaceful. But... back to the dining situation. We knew we needed to remove the island/cabinet dining thingy and replace it with a more suitable option. 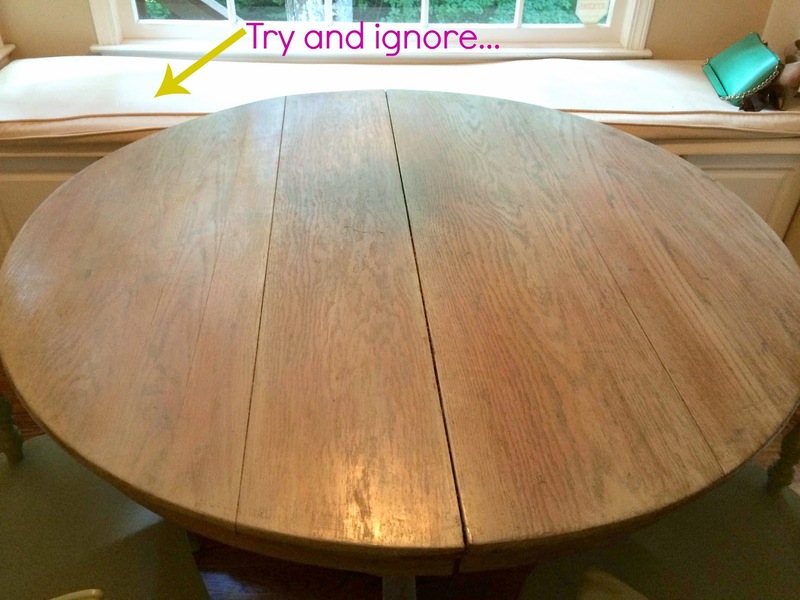 I've been swooning over this gorgeous round dining table from Restoration Hardware. I was drawn to the shape and the aged look of both options... But with price tags around $1200, these simply weren't an option. Hubs had seen me drooling over these guys for a little while. Finally, we came up with a better option, let's upcycle an old table! I searched and searched on Craigslist to find the right size and style. 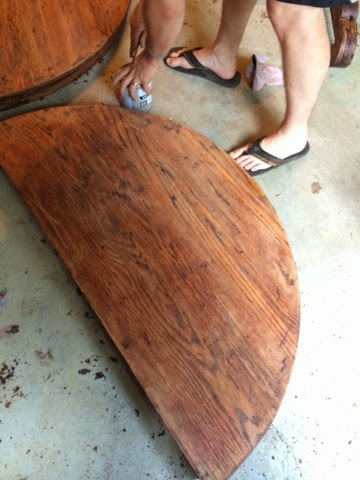 I knew we were going to do some work on whatever table we found, so I was also looking for the right price tag - less than $100. After a few days of searching, I found a handmade, antique little fella that I thought would work just fine. We found it for $70. I wish I had gotten a picture from before. It had several layers of paint and stain on it. We separated the top from the base and broke out the chemical stripper.With hours of elbow grease, the pretty oak started to shine through. I made sure to tease the Hubs with chants like "Strip, Baby! Strip!" and "Take it off!!" He only found it mildly amusing. I think the chemicals might have been getting to me. 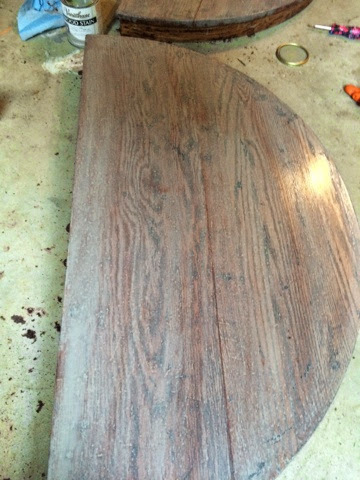 Once all the paint and stain was removed, we did a wash to get rid of all the excess chemicals. Remember, we are planning on eating on this thing! I knew I wanted that aged, sun bleached look. 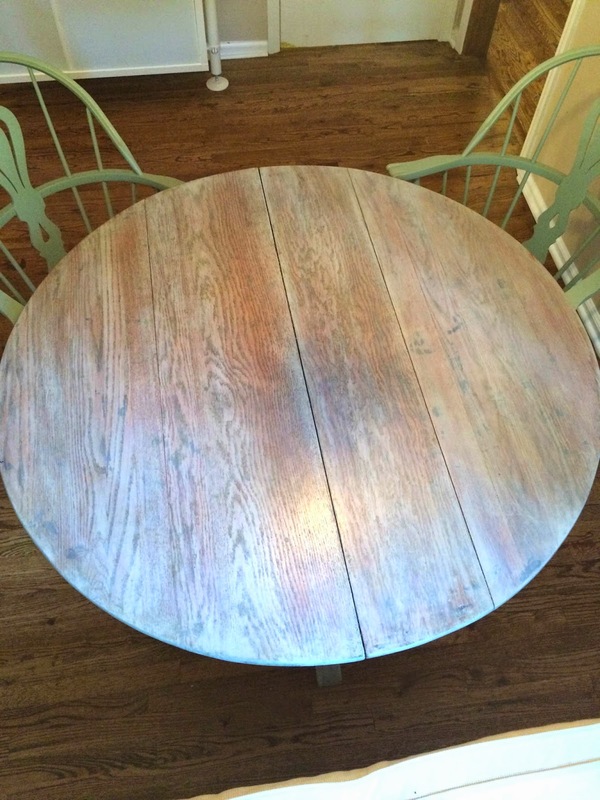 So we opted to use Varathane's wood stain in (you guessed it) sunbleached! 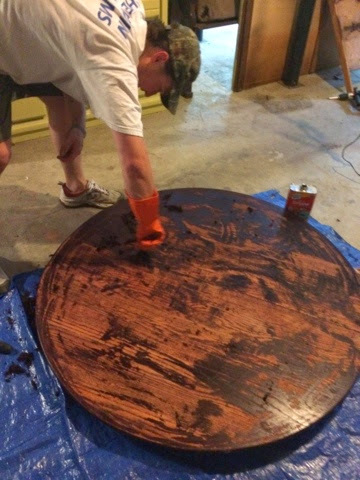 We applied four layers of the stain to get the base color we were looking for. 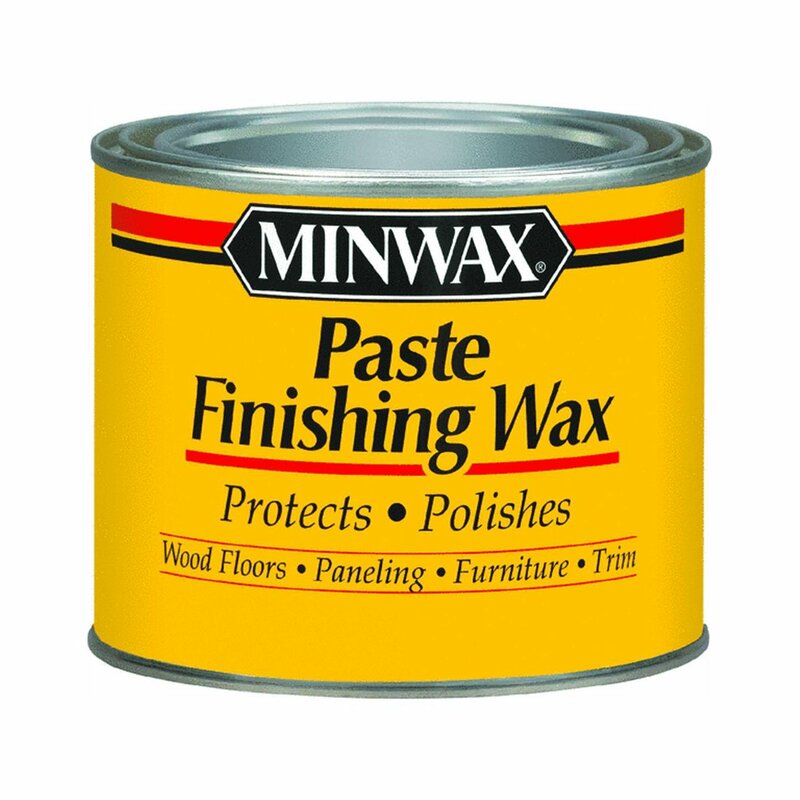 To give the table that extra weathered look, we added two layers of a darker colored wax to the top of the stain. We also needed to add about 6 inches to the height. 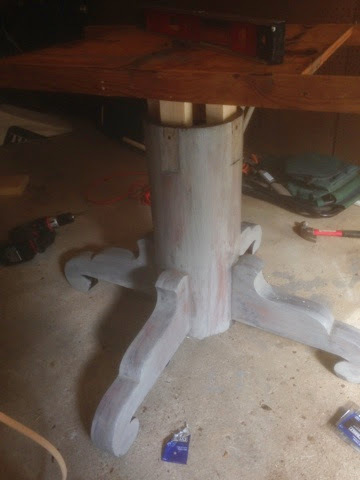 Not sure why the table was shorter... but Hubs built up the pedestal where the top connects. 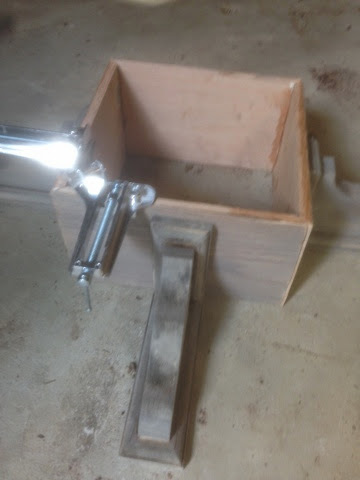 He also added some pretty trim so you wouldn't notice the extension easily. After the addition was finished, we put everything back together. I was so pleased with the outcome. I'm pretty happy with the distressed, aged look of the piece. It came out way better than I imagined. The handmade qualities still shine through (the different sized planks on the top are my favorite) and the colors enhance the beauty of the wood grain. Unfortunately, I tried to wash the covering of the window seat. The foam doesn't seem to want to fit back in. I hope to make (or have one made) a new cover soon as well as some pillows. For now, just try to ignore the massive lumps. We paired the table with two chairs we found at Hubs' great aunt's house. 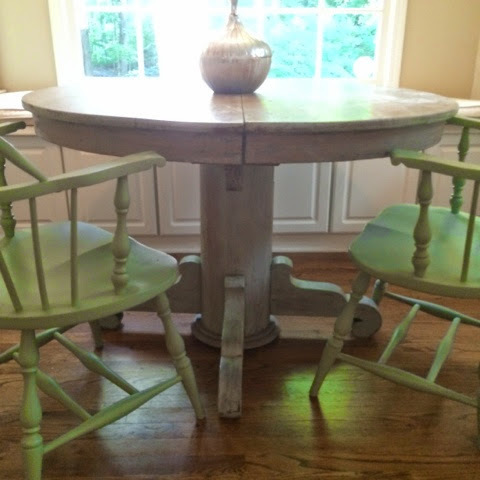 The minty green color and style of the chairs just mix perfectly with the table. We also changed out the light fixture. 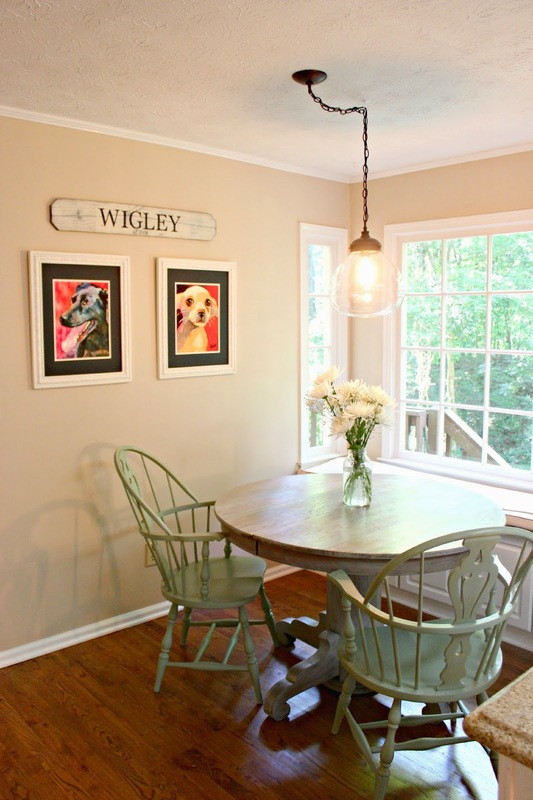 While I liked the colored chandelier, I think this farm house pendant goes better with the style of the nook. I think the pup portraits go perfectly here! We still may add another bench along that wall. That might happen in the next few months. We are still on the fence. We probably spent around $30 on stain, wax, and wood to modify the height. All in all, I'm pretty happy with my little $100 table. I suits the space and our budget. 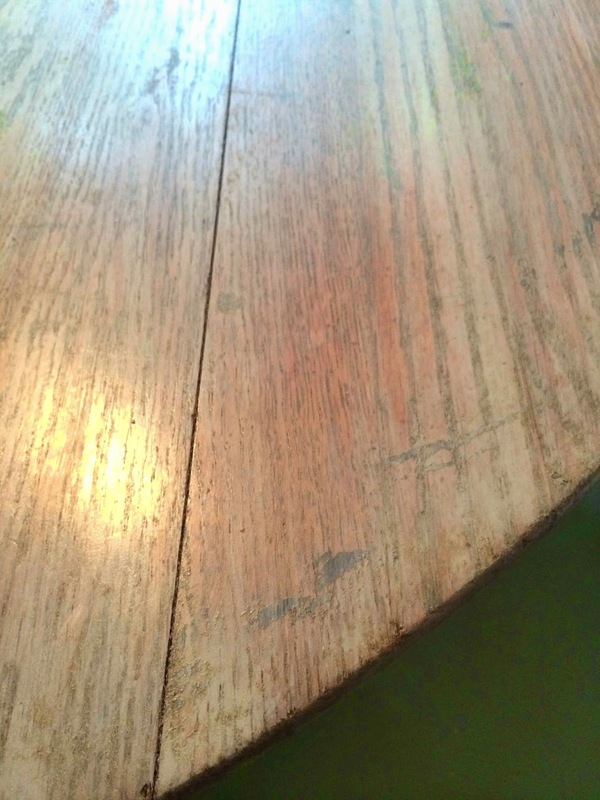 And I'm kind of partial to a table that has a story... and not bought to LOOK old. Although, I do still love those Restoration Hardware tables. HA! Once again, I'm just thankful Hubs has the skills to pull this stuff off. He's a keeper. What projects are you taking on? Do you have something you want to upcycle? I'd love to hear about it. 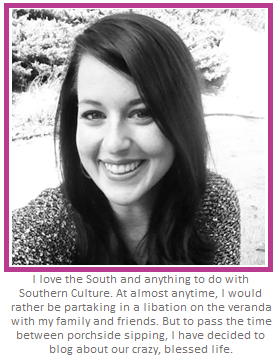 Talk soon, friends! I have just installed iStripper, and now I can watch the hottest virtual strippers getting naked on my taskbar.